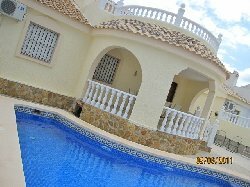 VILLAS AND APARTMENTS TO RENT IN CAMPOSOL, SPAIN. 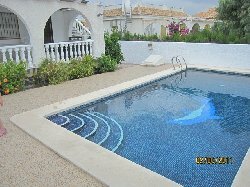 Welcome to our selection of holiday homes to rent in Camposol, Spain. 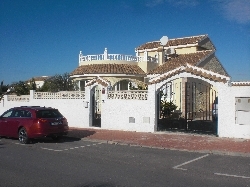 Camposol is a large urbanisation located in Murcia and centered around the Camposol Golf course. The average temperature throughout the year is around 20�C. Camposol is 15 minutes from Mazarron, an unspoilt Spanish town on the coast which enjoys 35km of beaches stretched across its coastline and 315 days of sunshine. Camposol is also close to Murcia City with its attractve buildings, especially the cathedral located at the plaza del Cardinal Belluga. Murcia city also enjoys great shopping malls and designer shops with a good historical old town centre. Looking for self catering holiday accommodation in Camposol? Then below is a selection of holiday apartments in Camposol and holiday villas in Camposol that can be rented direct from their owners. You can either click on each listing for further details or you can use our search engine on the left if you are looking for something in particular.